Clearwater Marine Aquarium (CMA) is a non-profit operation in Clearwater, Florida. Their organizational mission is to rescue, rehab, and release marine animals back into the ocean. 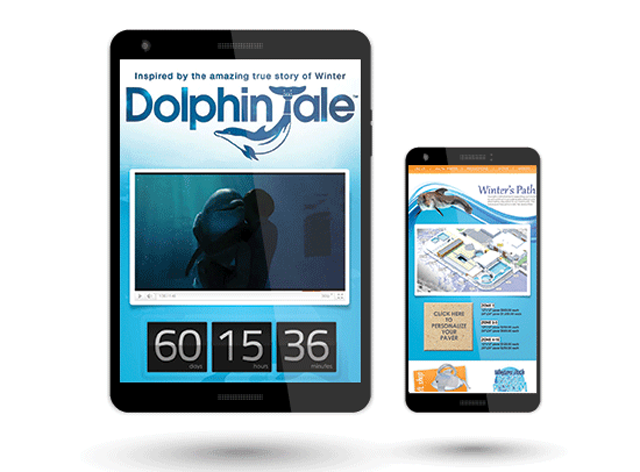 As CMA searched for ways to drive foot traffic to the Aquarium–through both community events and PR campaigns–we wanted to present a strong branding initiative that would help increase community awareness, reel in campaign sponsors, and draw regular visitors to the Aquarium. Increase CMA’s exposure in Pinellas and Hillsborough counties. Promote Winter the Dolphin and her path to stardom prior to the Dolphin Tale movie premiere. 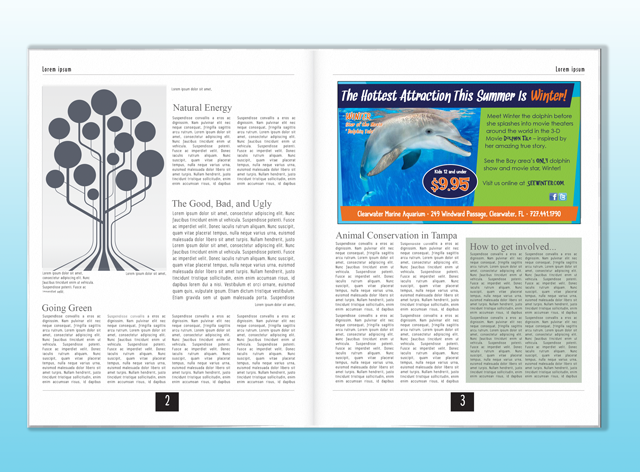 Attract more visitors from June - August 2011 before the movie premiere. The movie ‘Dolphin Tale,’ which was set for release in September 2011, presented a terrific PR opportunity for the Aquarium. CMA’s very own Winter the Dolphin was the star of the upcoming film. Primarily targeting women and children in Hillsborough and Pinellas counties, CMA offered Aquarium visitors the chance to meet Winter in person while also introducing Hope, the newest addition to the CMA family. With CMA’s strategic goals leading the charge, we implemented calls-to-action including a ‘Winter Premiere Vacation’ sweepstakes and a downloadable CMA coupon. The sweepstakes offered the winner a free stay at Clearwater Beach and free movie tickets to the Dolphin Tale movie premiere. The coupon offered guests a $3 downloadable discount by visiting the SeeWinter.com website (which drove visitors to the main CMA site). We utilized a strategic mix of traditional and social marketing tactics to promote the CMA brand and premiere event. Through media buying–including family-targeted radio stations, high-traffic local billboards, family-centered magazines, and shopping mall advertising–we joined hands with CMA to solicit media sponsors for the event.